With front row seats, you’ll be a part of the action as Gary, Mark and Howard journey through Take That's incredible music history. Performing their biggest hits from the last three decades, and new tracks from their latest album Odyssey, fans will love this ultimate big screen sing along. So, get ready to throw your hands in the air – it's a party you’ll never forget!. So, get ready to throw your hands in the air – it's a party you’ll never forget! Andrea Levy’s Orange Prize winning novel Small Island comes to life in an epic new theatre adaptation. Experience the play in cinemas, filmed live on stage as part of National Theatre Live’s 10th birthday. Small Island embarks on a journey from Jamaica to Britain, through the Second World War to 1948 – the year the HMT Empire Windrush docked at Tilbury. The play follows three intricately connected stories. Hortense yearns for a new life away from rural Jamaica, Gilbert dreams of becoming a lawyer, and Queenie longs to escape her Lincolnshire roots. Academy Award-winner Sam Mendes directs Simon Russell Beale, Adam Godley and Ben Miles who play the Lehman Brothers, their sons and grandsons. 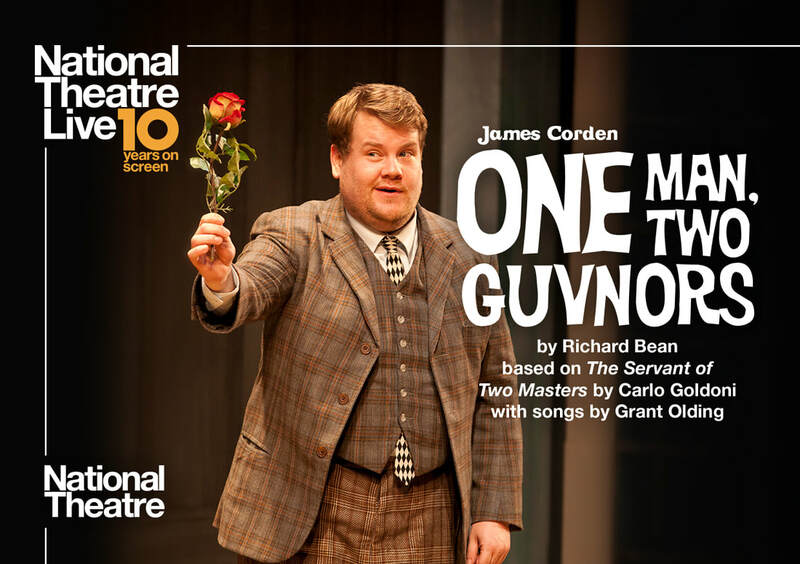 Featuring a Tony Award-winning performance from host of the The Late Late Show, James Corden, the hilarious West End and Broadway hit One Man, Two Guvnors returns to cinemas to mark National Theatre Live’s 10th birthday. Fired from his skiffle band, Francis Henshall becomes minder to Roscoe Crabbe, a small time East End hood, now in Brighton to collect £6,000 from his fiancée’s dad. But Roscoe is really his sister Rachel posing as her own dead brother, who’s been killed by her boyfriend Stanley Stubbers.